Four people were shot, including a state trooper who is in critical condition after a shooting at Greyhound bus station in Richmond, Virginia on Thursday, Virginia State Police said. The suspect is dead. UPDATE: Virginia State Police confirmed the trooper who was shot during an incident at the Greyhound Bus Station on Thursday afternoon has died. A former Marine, Trooper Chad Dermeyer, 37, leaves behind a wife and two children. Dermeyer was one of three people shot during the incident. The shooting suspect also died. At least four people were shot when a gunman opened fire on Virginia State Police inside the Greyhound bus station in Richmond on Thursday afternoon. Richmond police said two of the victims were in critical condition. One trooper was shot, as well as two civilians. Virginia State Police were conducting a training exercise for narcotics at the bus station when gunfire erupted, police told WRIC. The exercise involved troopers questioning passengers as they came off a bus. One passenger exiting the bus opened fire on a trooper and a gun battle ensued. The suspect, a trooper and two civilians were shot. Only the suspect is dead, Virginia State Police spokeswoman Corinne Geller told reporters. Virginia State Trooper confirmed dead in shooting at Greyhound station. Thoughts for his family and all of his fellow troopers. The suspect approached one officer inside the bus station during the training exercise and shot him in the chest, with at least trooper returning fire, sources told WTVR. The trooper who was shot in the chest has life-threatening injuries, police said. A man who stopped for a smoke break before going into the bus station said he heard at least five to ten shots fired. "The saddest day in Richmond," Richmond City Council member Reva Trammell told reporters about the Greyhound shooting. Virginia Governor Terry McAuliffe released statement and offered the Richmond mayor and the Virginia State Police superintendent whatever state resources they may need in investigating the shooting. 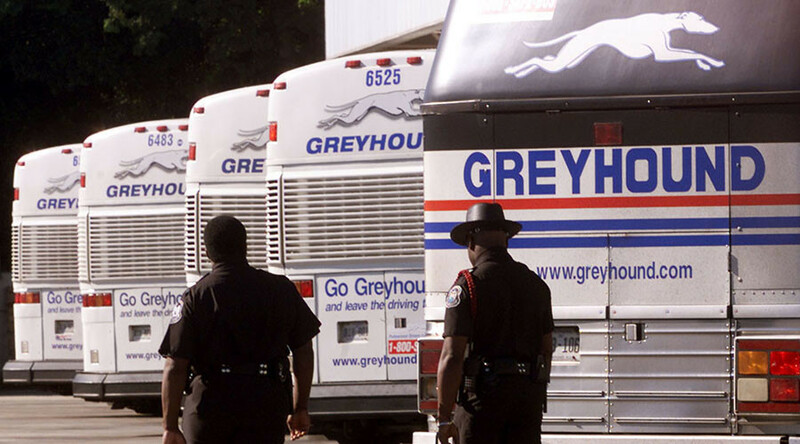 The FBI is on the scene at the Greyhound station, which is closed, WWBT's Mike Valerio reported.